Let the unicorn feast begin! On Friday, ride-hail galumphed onto the markets with the opening day of trading for little bro Lyft. (Big rival Uber is reportedly on its way to its own IPO.) Lyft had a strong first day of trading, reaching a share price high of $87.24 before sliding to $78.29 at market’s close. Now the big question, which will answer itself in the weeks and months to come: How do investors feel about the prospect of the mustachioed company actually making money? How about the gig economy at large? Still, plenty of transportation things were happening off Wall Street this week. We took a look at the current state of automotive software safety standards and talked to people wondering how self-driving cars might fit into the mix. We reminded ourselves that self-driving cars aren’t going to be driverless for a while and about the role of remote drivers in the ecosystem. We drove a Jeep Gladiator, the company’s adorably tough mini-pickup. Lose yourself inside the afterburner of a General Electric J79 axial-flow turbojet engine, which won’t power an aircraft. It’ll be used in a racing car, to help driver Jessi Combs take a shot at the womens’ land-speed record. Editor Alex Davies takes a ride in a remotely operated car, a little-discussed but vital bridge between the humdrum human-driven cars of today and the totally driverless ones of the future. Inside the effort to create new engineering safety standards for self-driving cars, which might one day amount to a sort of driver’s test for robots. Five charts to help you understand the Lyft IPO—and what lies ahead. Could battery-swapping autorickshaws make electric vehicles more viable for India? What’s it like to drive a Jeep Gladiator pickup truck? Kinda like riding a very excited dog as he bounds down the stairs. 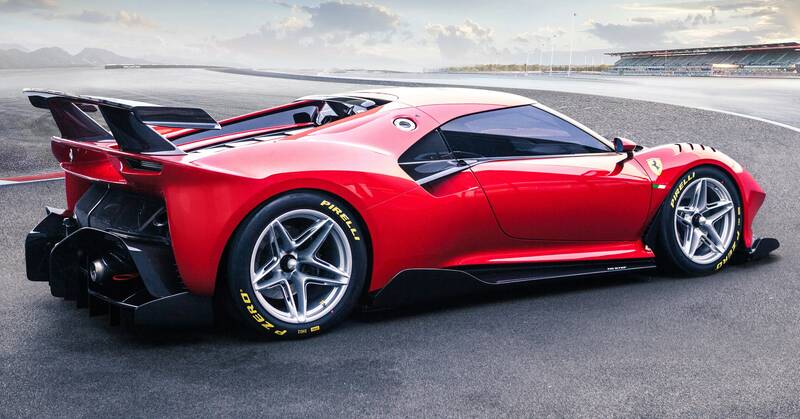 Ferrari spent a mere four years building this single-issue P80/C hypercar for one customer. Porsche promises its first all-electric sports car, the Taycan, will hit the market at the end of the year. Which means it’s time for the fun stuff: test drives! This week the German automaker said it will have tested the Taycan on 3.7 million miles of road before its official launch, in the snows of Sweden, the heat of the UAE (up to 120 degrees Fahrenheit! ), and the chill of Finland. More details on the Taycan’s testing regiment here. Lyft rings in its IPO with a “City Works” pledge, investing $50 million or 1 percent of profits (whatever’s bigger) in city infrastructure, clean energy tech, and transportation access for disadvantaged communities. Anthony Foxx, the former US secretary of transportation and now Lyft’s chief policy officer, clarified to WIRED that this doesn’t necessarily mean Lyft will write $50 million in checks—”Some of it will be in-kind,” he said—but that it will continue its current work on those three target areas in close partnership with cities. This headline speaks for itself: “I Rode an E-Scooter as Far From Civilization as Its Batteries Could Take Me”. Oh, Wow. Oh, no: A budget airline suddenly ceased operations.